The Ellen Theatre is a marvelous reflection of the glorious playhouses of yesteryear. This lavishly decorated palace, designed by renowned architect Fred Willson, was built by the sons of Nelson Story, a founder of Bozeman, and named for the family matriarch - Ellen. That's quite a present for mom... 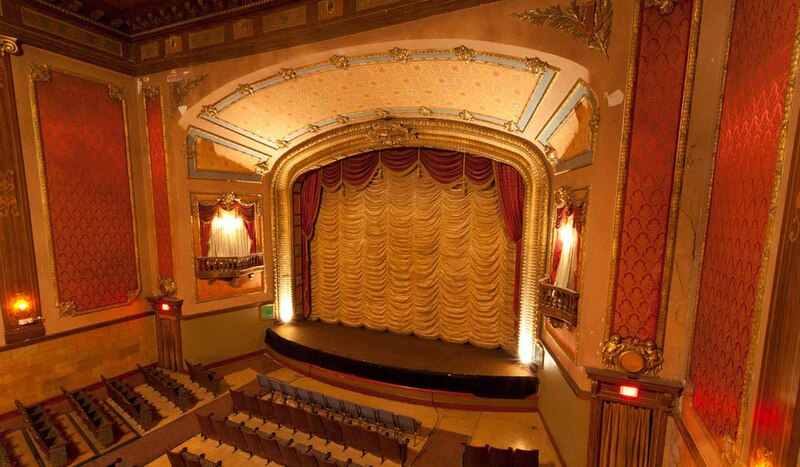 Restored in 2008 by Montana TheatreWorks, The Ellen is now a shining showcase for great musical theatre, plays, community events, local performers and world-renowned talent. Sold-out audiences have enjoyed a wide variety of programs, from comic Paula Poundstone to cowboy legends Riders In The Sky, from former NBC anchorman Tom Brokaw discussing To Kill A Mockingbird to music legend Arlo Guthrie. Opened in 1919, The Ellen originally hosted variety shows, silent movie premieres, school plays, weddings, symphony concerts and even an opera featuring a live elephant. This historic town landmark truly was the place to be -Friday night with your favorite sweetheart, the Saturday kiddie matinee and the Sunday family concert were staples of life at The Ellen. A favored stop on the vaudeville circuit, programs discovered during the renovation feature such stars of the day as Vivian Vance (Ethel from I Love Lucy), famous fan dancer Sally Rand and the legendary ventriloquist Edgar Bergen along with his wise-cracking wooden sidekick Charlie McCarthy. However, like a tragic melodrama, there was a cruel twist in the plot and The Ellen, along with other similar theatres across the country, suffered decades of disrepair. The world of TV, DVD rentals and video downloads by-passed Bozeman's magnificent monument to a bygone era and, sadly, the spotlight slowly faded. Fortunately, this story has a happy ending. After a lot of elbow grease, polish and paint, it's "Curtain Up" once again at The Ellen. If you're in the neighborhood, drop by for a visit or take in a show. When you see her, we're sure that you'll agree, the ol' girl truly deserves a standing ovation.